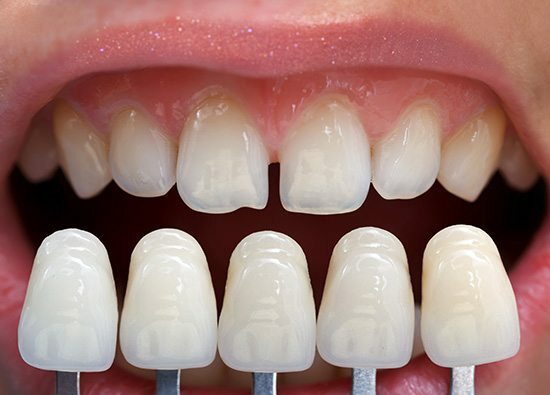 Composite Veneers are less expensive and done chairside with tooth colored filling material. Their main disadvantage is the need to redo them some years later, as they can absorb stain and darken. 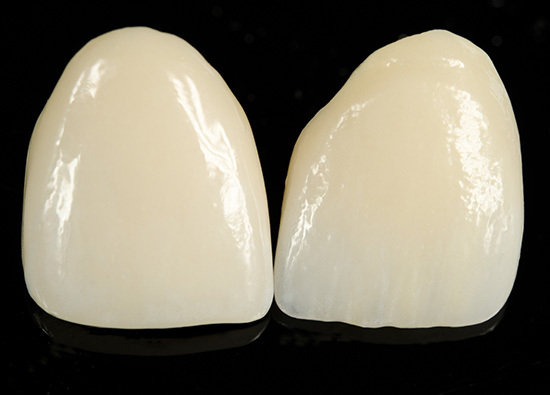 Porcelain Veneer is the same cost as a crown, and is a thin porcelain shell that is bonded onto the surface of the tooth. It will not discolor with time but can “pop off” as the cement ages and loses adherence. If it does pop off, and is not damaged, it can be re-cemented.